3 Home Improvement Projects You Should Prioritize - Home Pro Exteriors, Inc.
Home Pro Exteriors Inc., is a full-service home improvement company with over 30 years of combined experience. 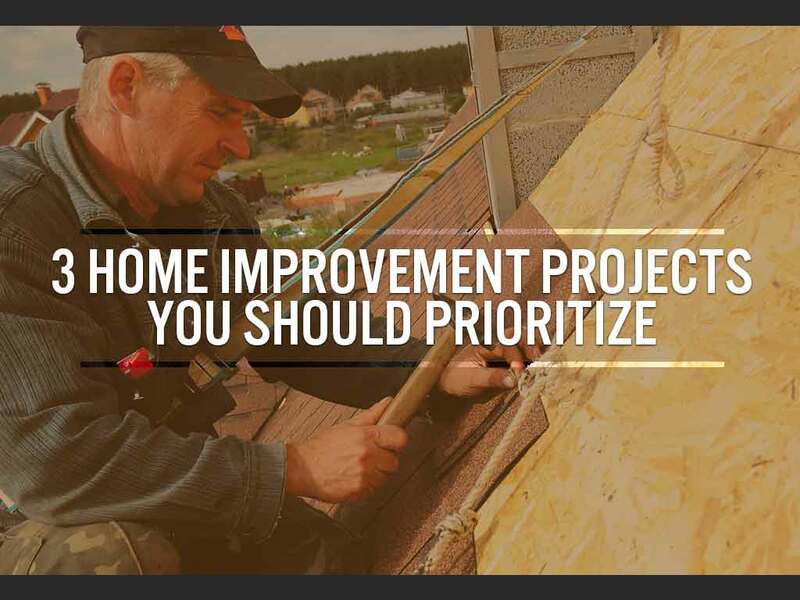 We know how difficult it is to prioritize home improvement projects, which is why we’ve singled out three projects in this post. Learn why you should prioritize these three on your next home improvement project. Roof replacement should be your number one priority when it comes to home improvement, especially if your roof is more than 20 years old already. Replacing your roof doesn’t just make your home more secure, but it also improves the “natural” ventilation and insulation in your home, which in turn positively affects your property’s comfort levels and overall energy efficiency. Siding doesn’t just make your exterior look more attractive; it doubles as a secondary layer of defense against the elements. It’s also a long-term solution to weather exposure and doesn’t need reapplication unlike exterior wall paint. As your local siding contractor, we can install high quality siding systems from CertainTeed, Alside and James Hardie siding. Whether you’re in need of insulated vinyl or a more robust fiber cement siding, we’ll always make sure you have siding that’s built to last a lifetime. Even if your roof doesn’t require immediate replacement, it may require repair work – especially if it has experienced inclement weather recently. The simplest way to go about this is to do preventive repair work on your roof. This allows you to address roofing problems when they are still small and easier to patch up, which in turn bolsters your roof’s defenses against weather damage and exposure in the future. Whether you’re in need of roof repair or new siding, Home Pro Exteriors guarantees quality workmanship every time. No home improvement project is too big or too small for us to handle. Call us today at (845) 343-1777 to learn more about our services. We are a roofing and siding contractor serving homeowners throughout Monroe, NY.